Bring the joys of summer to baby any time of year. 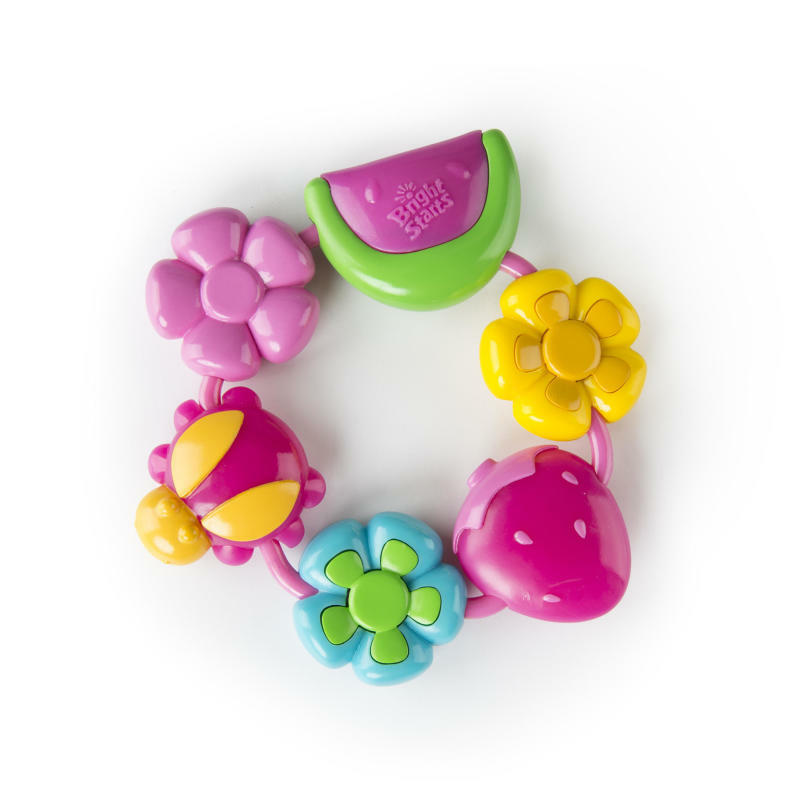 The Bright Starts™ Pretty in Pink™ Buggie Bites Teether™ contains colorful beads, a juicy watermelon, a delicious strawberry, bright flowers and a sweet lady bug! Multiple textures soothe baby's gums and make it is easy for baby's little hands to hold. Multiple textures are perfect for soothing tender gums. Dimension (in) 4.5" x 1" x 3.75"